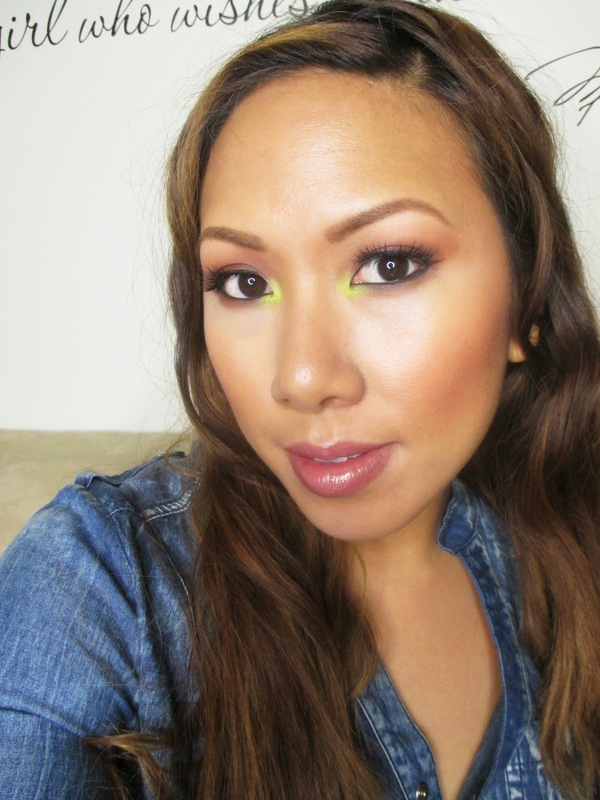 Home bright makeup ofra cosmetics FOTD: Neon Pop! I'm back with another Face of the Day! I posted a sneak peak on Instagram but today I want to show you how to accomplish this smokey eye with pop of neon. I think it's a really fun, simple look and the color options are endless. Check it out! 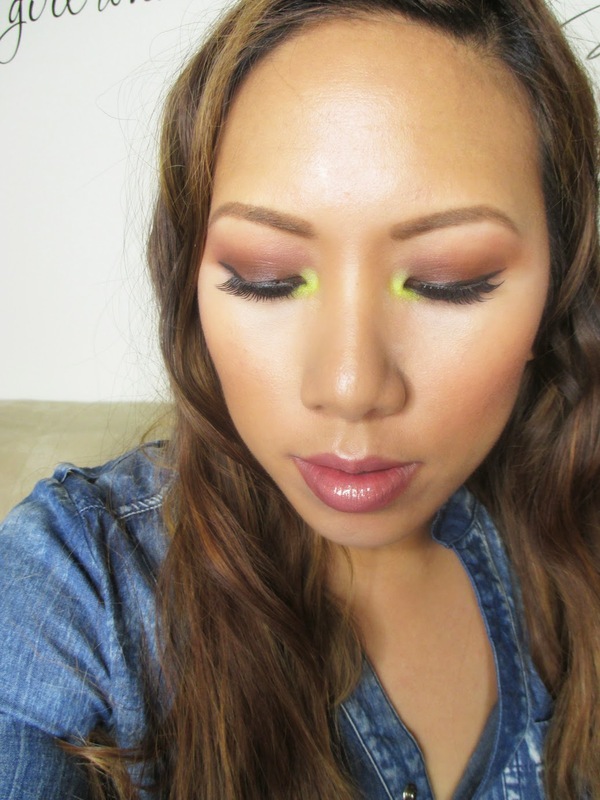 To accomplish this look, I really wanted to use my Ofra Cosmetics Bright Addiction Palette. I wanted to do a neutral eye with a pop of color. I've seen a lot of looks on Instagram with a black smokey eye with aqua in the tearduct. 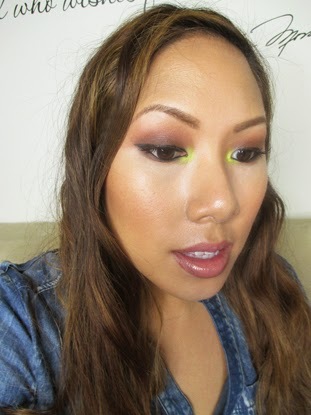 I decided to mix it up and go for a brown smokey eye with Chartreuse in the tearduct. 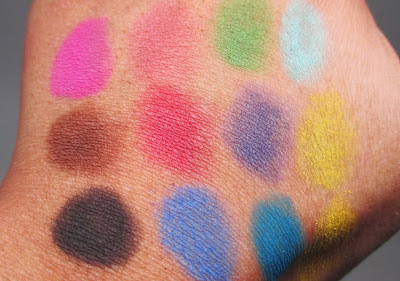 From the palette I used from the second row: the dark brown on the lid and chartreuse in the tearduct and a bit of black from the bottom row to smoke it out. I wanted my skin to be light and dewy so I used CoverFX CC Cream in Golden Deep. I kept the lips neutral, rocking one of my classic favs MAC Viva Glam V lipglass. Hope you guys enjoyed! You can pick up the Bright Addition Palette from Ofra using my discount code MakeupByRenRen40 for 40% off everything! Hurry because the coupon code expires October 12th. 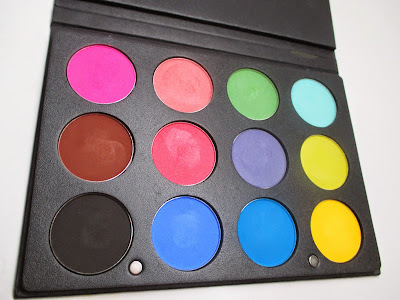 This palette is amazing and the discount is too good to pass up.